Isabelle dressed up as Miss Trunchbull from Matilda by Roald Dahl and Oliver dressed up as Kipper from The Magic Key book series. At first glance, it might appear that Isabelle is really acting like Miss Trunchbull, but she is sulking because she really did not want to have the mole on her face! We had to convince her to keep it long enough so that the teachers could see at school and then she could wipe it off! 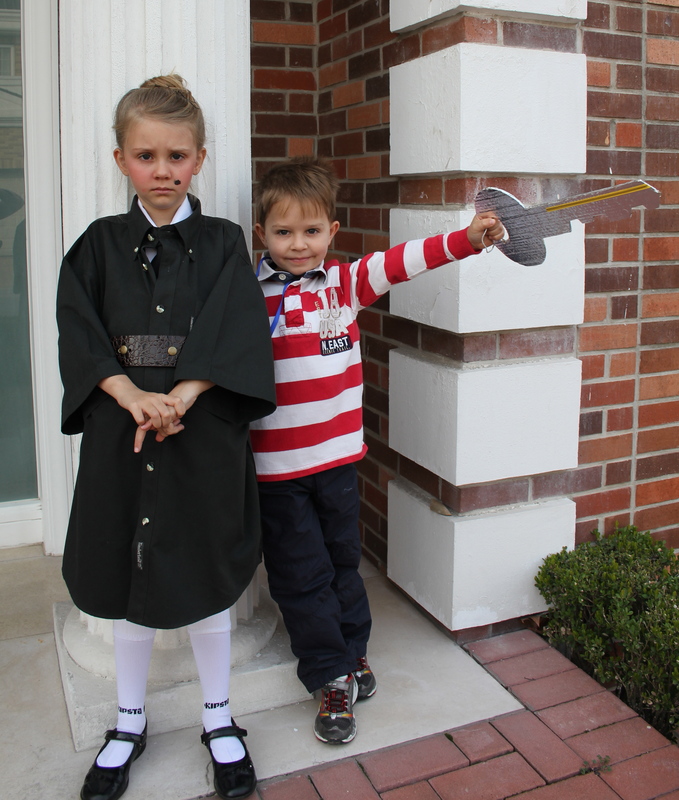 This entry was posted in Uncategorized and tagged BISS, Kids, Magic Key, Matilda, Miss Trunchbull, Roald Dahl, World Book Day. Bookmark the permalink.